This. The "all eggs" tactic only worked at the Vuelta because Quintana crashed out. unless Piti is there to protect Quin from the press etc. I don't think Nairo will be unduly concerned about Piti in either of the GTs. He knows he can have him easily in the mountains. Movistar new boy Rory Sutherland isn't known for holding back. And hold back he didn't in this interview with PEZ. My guesses - 1) announcement that Alex Dowsett will go for the Hour Record at the Olympic Velodrome in February or less excitingly 2) some sort of greater visibility of O2 on team branding etc. Dowsett Hour is most likely. They should have coordinated better with Sarah Storey - now the cat is already out of the bag. He's 26 already, having turned pro in 2011 after finishing 9th behind Matthews in the previous autumn's U23 Worlds RR. He was with Andalucia-Cajasur for two seasons and took a few podiums and minor victories there until Euskaltel bought him in its final year of existence. Now in the big league, Lobato looked a bit out of his depth but it was all experience and he must have considered himself jackpot lucky to get a Tour de France spot. Couple of small wins and top tens for the most part during his brief stint in orange. Last season was the breakout. Signed up for Movistar and looked like being the very image of the older Rojas. Still seemed something of a fairweather friend until he narrowly missed out on the Milan-Sanremo podium, sandwiched between Swift and Cavendish in the final swoop. Either it was because of this result or it was already pre-ordained in his programme, but Movistar sent him to the Northern cobbled Classics and there he struggled before taking a break. Back on the road in late Spring, he started to find his legs again and a quiet summer consisting of short stage races finally brought him wins in Wallonie and Burgos. However he would not replicate his MSR form in the late season Classics. His 2015 results already suggest greater confidence, albeit once more in short stage races, so it remains to be seen whether he can produce in a highly selective and competitive one-day setting. This Spring may have the answer to that question. Lobato will take a break after Andalucia to prepare for MSR, his biggest goal of the season, where he thinks the Via Roma finish suits him very well. The only preparation race he will do before is the GP Nobili. Afterwards he aims to get a good result in Ghent Wevelgem, and will also race the Ronde to see how far he can get there, before taking another break to prepare for the Giro. 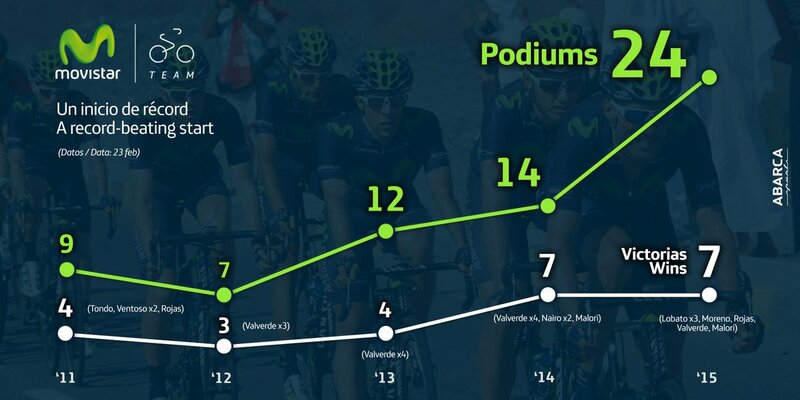 Movistar have had an incredible start to the season, even by their own lofty standards. What must be most encouraging for the squad is that, although they have the same number of wins as this time last year, they have more winners. 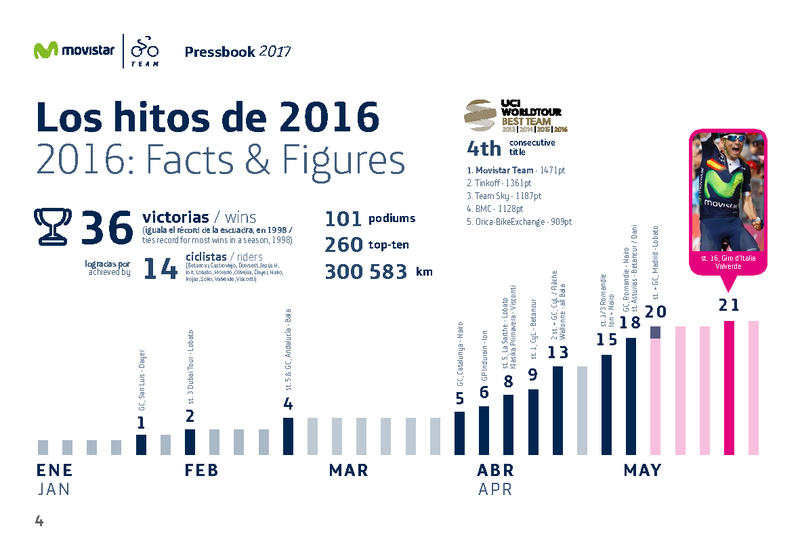 Valverde has been slow to get going by his recent years - only 1 win so far - and Nairo hasn't found the top step yet. 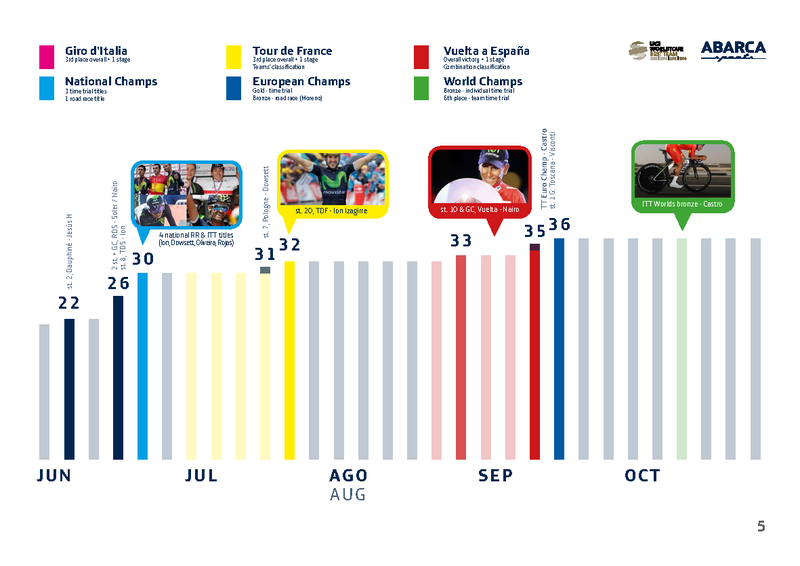 This is not just because Quintana is, at 25, the youngest. It's also because he is, by his own admission, extremely shy. "Interviewing him on the telephone isn't ideal. He's a man of few words," is how the press officer at Movistar, his team since 2012, puts it. And indeed in 2014, Quintana lost a major European race – he won't say which – because, he claims, he was too tongue-tied at the morning's team meeting to put across his own point of view about how it should be tackled strategically. 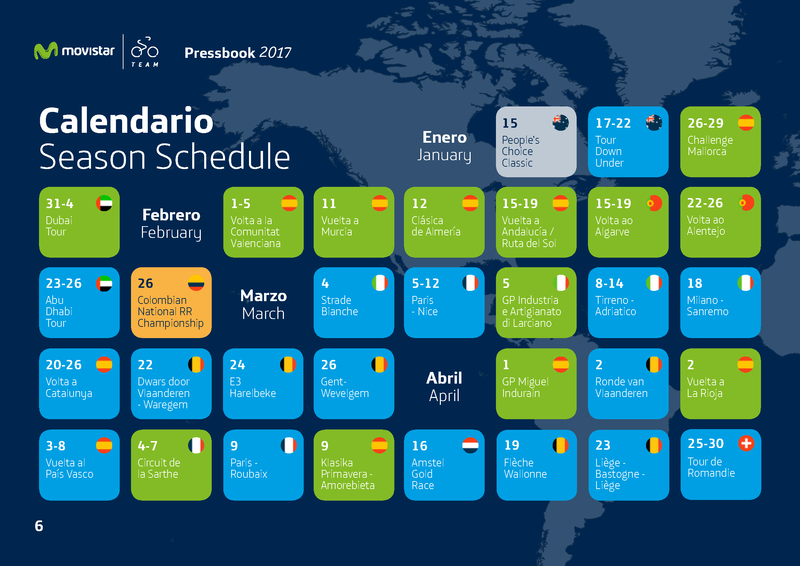 So Movistar rode the decisive stage with a DS's tactics, and they lost. first top result in Europe in 2009, aged 19, [...] riding for his tiny South American squad against the likes of Euskaltel-Euskadi and Movistar, Quintana finished seventh. Movistar was Caisse d'Épargne in 2009. Pul-lease. Amador to skip the cobbles in 2017 (apart from RVV) to make sure he's in the right shape/weight for the Giro. Oh well, maybe he'll win the 2017 Giro and then proceed to rip up the cobbles in 2018.
Who's the last reigning Giro champion to podium the Ronde; Eddy Merckx? Fiorenzo Magni was truly Il Leone del Fiandre. Left here without comment or, indeed, surprise. I saw his hastily deleted tweet last night, something like no visa. But then it was deleted before I had a chance to stick into a translator. sent out a pressbook today. They've been good with media/online/PR stuff for a while. Their graphics team is excellent. And everything (including post-race interviews etc.) is bilingual. 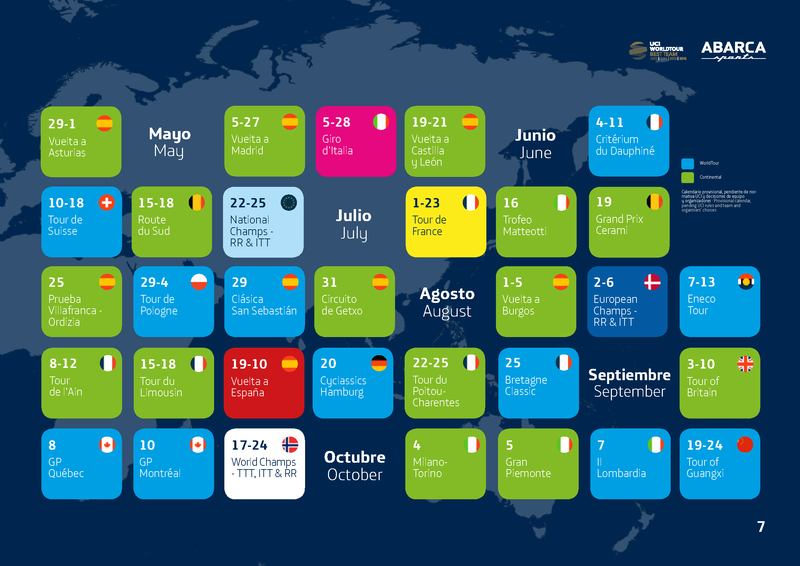 My surprise is that they are riding the Volta ao Alentejo this year. I've managed to miss its promotion to a 2.1 race... this is generally excellent. Carlos looking trim and fit. I'm guessing he'll have a cracking season given I released him half way through a 2 year contract in my auction fantasy team.